Communications infrastructure company CommScope is preparing for fifth generation networks (5G) by helping wireless operators reach Gigabit LTE speeds. The road to 5G is paved with LTE, CommScope's VP of Sales, Service Providers, Middle East and Africa, Femi Oshiga, told Telecom Review at Mobile World Congress 2018, where the company's latest LTE and 5G solutions were on display. Achieving 1Gbps is a benchmark for 5G, which CommScope is helping to enable with advanced base station antenna technology. CommScope is offering new antenna models that support 4xMIMO (4T4R multiple input/multiple output), advanced modulation, and carrier aggregation of unlicensed frequency bands. The combination of multiple data streams and additional spectrum will help wireless operators reach Gigabit LTE speeds on the road to 5G. 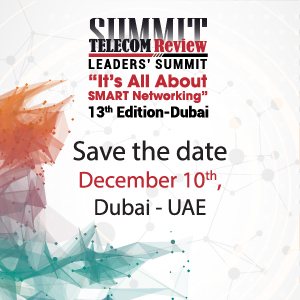 "There is quite a lot of innovation that we are putting out there, including our Massive MIMO antennas that offer gigabit capabilities; as well as other innovations such as 4xMIMO antennas with up to 14 ports, and several others, that we brought out during 2017 and successfully sold to many of our customers," Oshiga told Telecom Review. CommScope introduced a 4xMIMO, ultra-wideband antenna for the 1400 MHz-2700 MHz range in late 2017, and has released an extensive antenna portfolio for FirstNet operating in the 700 MHz band. The company continues to add antennas to its portfolio that support different frequency band combinations in 4-, 8- and 12-port configurations, with 4xMIMO support on both low and high bands. CommScope also offers a high gain, small cell antenna with 4xMIMO functionality in the 1.7-2.7 GHz and 3.5 GHz bands, plus 2x2 MIMO support in the 5 GHz band. With this antenna, operators can use carrier aggregation for License Assisted Access (LAA) to combine unlicensed bands with licensed bands to reach gigabit speeds at small cell sites. This antenna will also help operators be ready for Citizens Broadband Radio Service (CBRS). The company teamed up with 5TONIC, an open research and innovation laboratory, to announce that members are gearing up for next generation networks with CommScope OneCell deployments. For example, they are already seeing the tangible benefits of cell virtualization, which dramatically improves spectrum efficiency and is now being considered for potential inclusion in 5G standards. 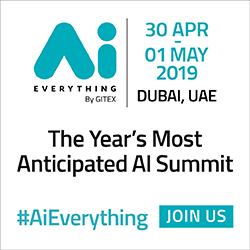 "We've started to see traction and had some successful deployments in the UK," said Oshiga, noting that the solution was initially intended to be an enterprise type solution, but in the end, it was successfully deployed in a stadium. "The dynamism of the unit makes it a self-optimizing solution, and in a stadium where there are so many zones that require coverage, it gets quite messy, so a self-optimizing unit that considers the whole area to be one cell is ideal." Another area of innovation for CommScope is in-building solutions. "We are launching a digital C-RAN antenna system called Era, which we see as the new era of in-building wireless going forward," said Oshiga. The company's new in-building wireless solution is capable of "even more than our previous DAS (Distributed Antenna System) solutions," he added, noting that it has multiple bands, up to 6, with cost-effective antennas. How does DAS compare to small cells? Oshiga explained how DAS solutions are suitable for multiple carrier types, whether it's for 2G, 3G or 4G in different bands; whereas small cells are a singular carrier type solution for LTE only - an overlay that provides an extra boost of capacity, if you were to use it in a stadium, for example. "There is still so much to do with LTE from our perspective," said Oshiga. "Virtualization is taking shape in trying to get all of the intelligence back to a central point and have it managed more seamlessly and cost-effectively. Many vendors are working in this space, including CommScope, and all of this is part of the path towards 5G." 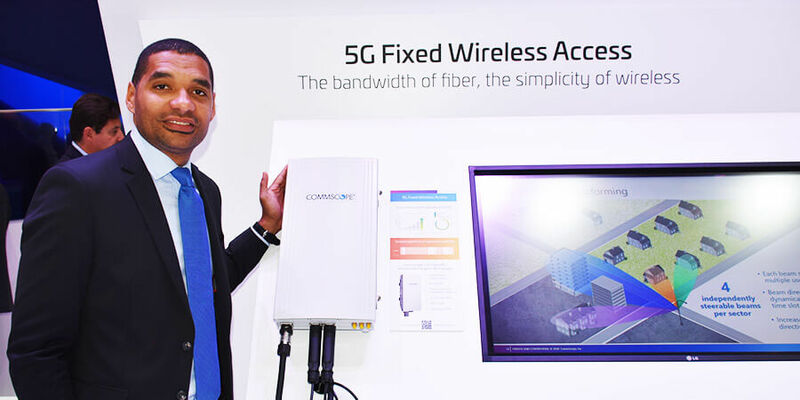 The next-generation technology will have an additional radio layer, as well as more bands and higher stringency on latency, Oshiga said, highlighting how CommScope provides the fiber, antennas, and the entire connectivity infrastructure you would need to enable 5G in the near future. Topping off CommScope's commitment to 5G, the company displayed its first fixed wireless solution at Mobile World Congress 2018. The solution offers very high throughput of up to 12Gbps per sector, to complement fiber deployments. It's an "exciting new venture for us, and could be fitted out in a dense area where fiber cannot be deployed," Oshiga said. The biggest cost in rolling out fiber is digging up the ground, so if that's not possible, you can implement fixed wireless access that is high throughput-capable and offers low latency. The solution is an option for both advanced and emerging markets. It's still early days for the product, but Oshiga predicts we'll be hearing a lot more about it in the future. As the need for capacity increases with 5G, higher frequency ranges are needed. The current spectrum bands are almost full and don't provide enough bandwidth. The solution, Oshiga explained, is millimeter wave (mmWave) such as the 28 GHz range, which provides higher bandwidth. The product can support up to 400 MHz of bandwidth on four carrier aggregation compared to a normal LTE channel that offers just 20 MHz. "In order to work on that very high frequency range, the attenuation is very high, so the signal will not travel a long distance once we go into that frequency range," said Oshiga. "To solve that problem, the idea came with Massive MIMO which uses an array of antenna elements that can make the beam very narrow and point it directly towards users."